Six innovative sound artists are taking over the impressive 50,000 square foot of Knockdown Center for the culmination of a months-long composition process. 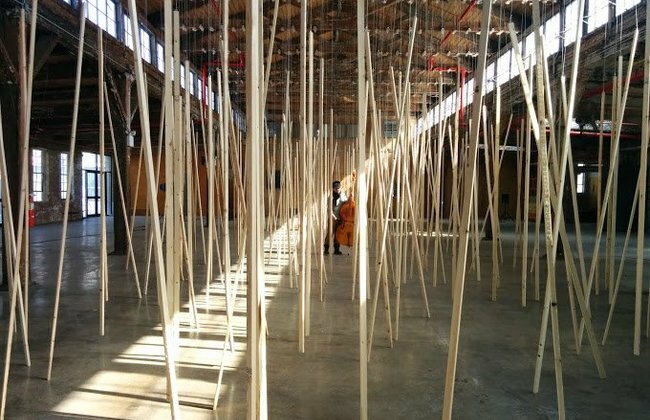 Expect fascinating audio art in a large space. 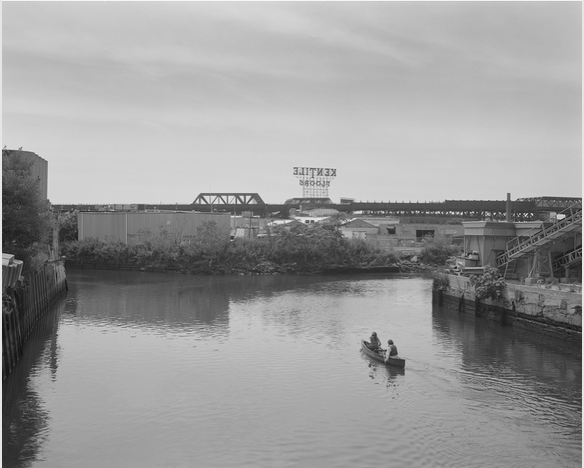 The exhibition of black and white photographs are documenting the ever-changing urban landscape of Bushwick, Williamsburg, and Gowanus, and show many structures that are already gone – like the 1882 Domino Sugar Factory in Williamsburg, and the Kentile sign in Gowanus, or repurposed – like the Bushwick warehouse now occupied by the Luhring Augustine Gallery. 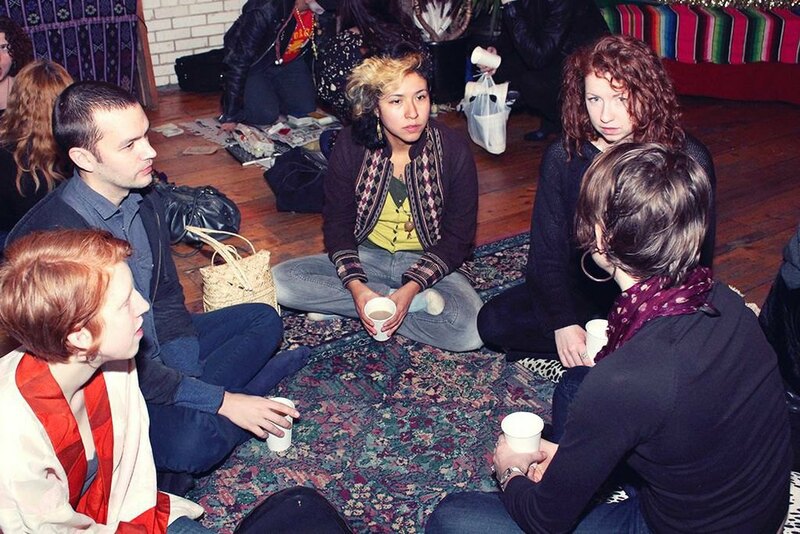 If you wish to participate in BOS 2015, pick up your registration code, mingle with Bushwick community & share the excitement for the upcoming festival! How 'Bout Now? 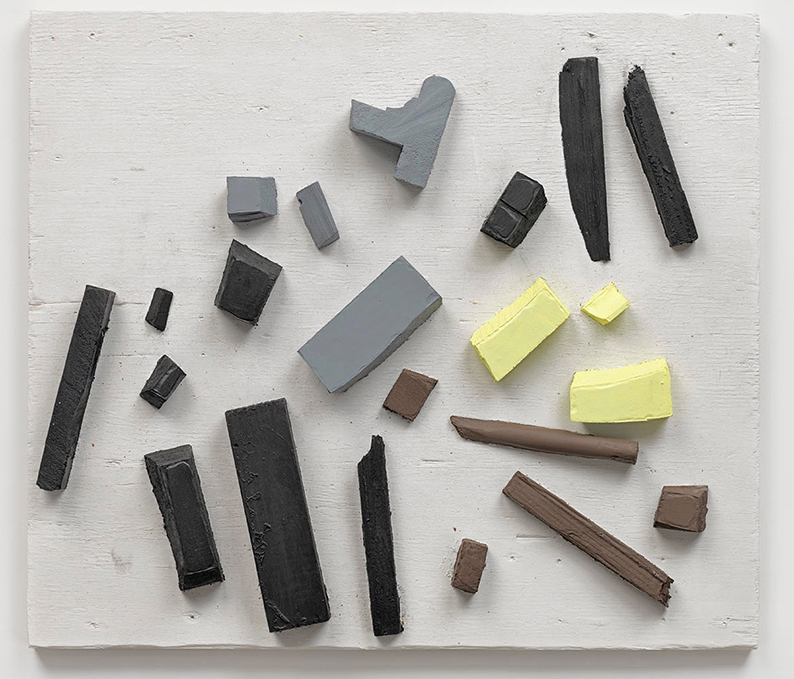 is a group show of 12 artists, all of whom rely heavily on the meaning of their materials. Stop by this weekend or email creative@brooklynfireproof.com to set up a time to see the show. 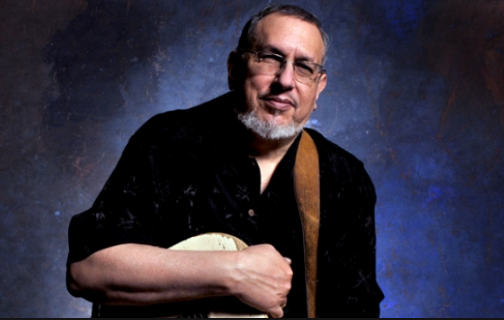 Boerum Hill venue, Roulette Theater presents legendary guitarist and performer David Bromberg as he is joined by Larry Campbell, multi-instrumentalist and sideman. This will be an exciting one-of-a-kind performance! 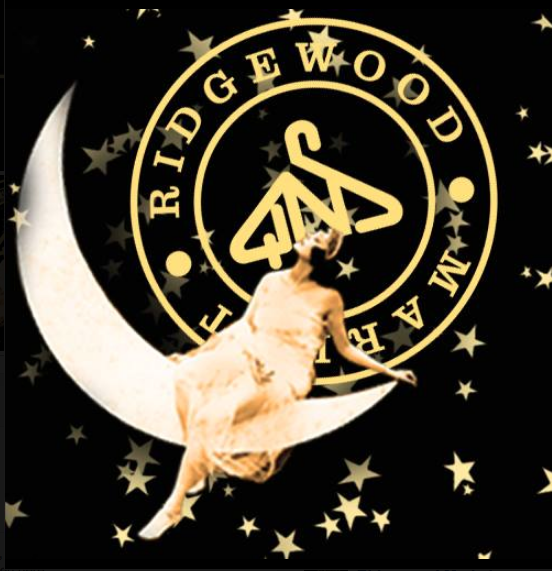 To celebrate their 2nd anniversary, Ridgewood Market has brought together 40 artisanal vendors, DJ, big raffle and everyone is asked to dress a little fancier than usual. This event is held at an old-fashioned beer hall! 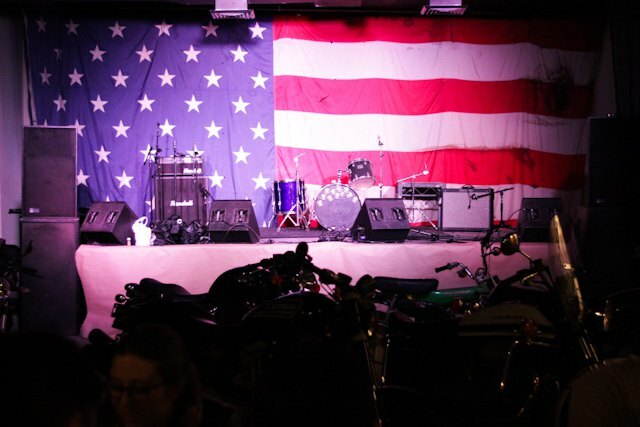 The Shop Brooklyn is an awesome new music venue and BBQ. Check them out this Saturday for Shinobi Ninja concert. London electro-rock outfit IS TROPICAL is making a stop in Brooklyn supporting their third album, Black Anything. Don’t miss opener bottoms – the three dudes might be in drag. Tarot Society is a divination salon, organized by the event production team, House of Screwball. Tarot Society was designed as a new nightlife experience, fostering personal transformation and self-knowledge through the tarot, astrology, palmistry, and other divinatory mediums. 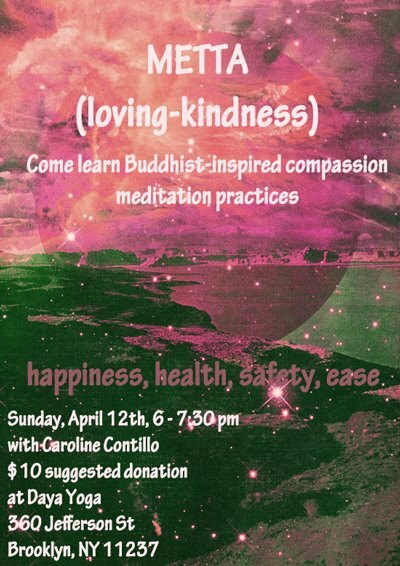 Spend Sunday night quietly with Caroline Contillo, meditation teacher, and Metta meditation for loving-kindness.